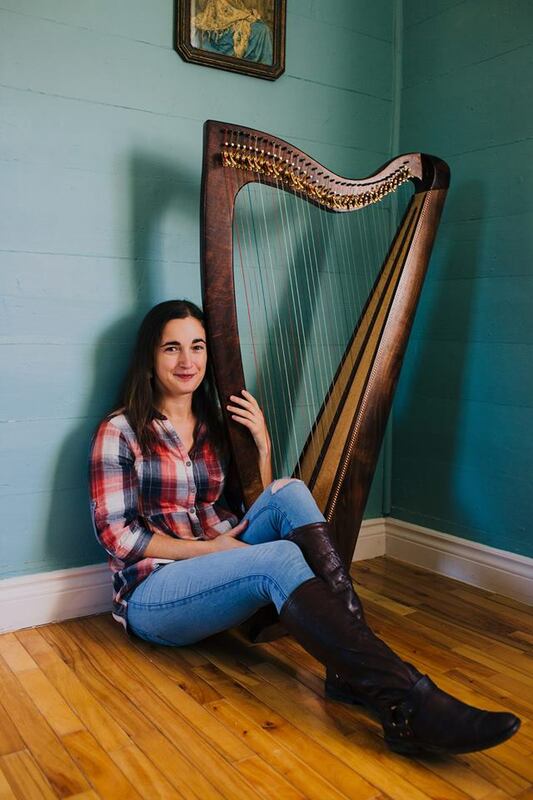 While in Scotland, Dominique studied with many renowned artists in the Scottish tradition, including some of the premier harp players in the field: Patsy Seddon, Wendy Stewart, Corrina Hewat, Catriona McKay, Mary MacMaster, Alison Kinnaird, and Ingrid Henderson. Dominique studied Scots song with Alison McMorland and Karine Polwart, and Gaelic song with Kenna Campbell and Mairi MacInnes. Dominique has performed at Denmark’s Tønder Festival, the Celtic Connections Festival in Glasgow, the Edinburgh Harp Festival, and the Edinburgh Fiddle Festival as well as for HRH the Prince of Wales and at the opening of the Scottish Parliament Building. In the US, she has been the featured harper at the New Hampshire Highland Games, the New World Festival and dozens of concerts, festivals, schools and other events. Dominique’s self-titled solo album features lively Scottish dance tunes and traditional songs, as well as her own compositions. Teaching and sharing her knowledge and passion for traditional music is one of Dominique’s strengths. She enjoys working with children and adults, and has extensive experience in group and private lessons. She has taught at the Gaelic College in Nova Scotia, the Ohio Scottish Arts School, the Royal Scottish Academy of Music and Drama, and many others.